Understand and explain the term algorithm. Understand and explain the term decomposition. Understand and explain the term abstraction. Use a systematic approach to problem solving and algorithm creation representing those algorithms using pseudo-code and flowcharts. Explain simple algorithms in terms of their inputs, processing and outputs. Determine the purpose of simple algorithms. Understand that more than one algorithm can be used to solve the same problem. Compare the efficiency of algorithms explaining how some algorithms are more efficient than others in solving the same problem. Understand and explain how the linear search algorithm works. Understand and explain how the binary search algorithm works. Compare and contrast linear and binary search algorithms. Understand and explain how the merge sort algorithm works. Understand and explain how the bubble sort algorithm works. 3.2.1 Data typesUnderstand the concept of a data type. Use definite and indefinite iteration, including indefinite iteration with the condition(s) at the start or the end of the iterative structure. Use nested selection and nested iteration structures. Use meaningful identifier names and know why it is important to use them. • integer division, including remainders. • greater than or equal to. Understand the concept of data structures. Use arrays (or equivalent) in the design of solutions to simple problems. Use records (or equivalent) in the design of solutions to simple problems. Be able to obtain user input from the keyboard. Be able to use random number generation. Understand the concept of subroutines. Explain the advantages of using subroutines in programs. Describe the use of parameters to pass data within programs. Use subroutines that return values to the calling routine. • are only accessible within the subroutine. Use local variables and explain why it is good practice to do so. Describe the structured approach to programming. Explain the advantages of the structured approach. Be able to write simple data validation routines. Be able to write simple authentication routines. Be able to select suitable test data that covers normal (typical), boundary (extreme) and erroneous data. Be able to justify the choice of test data. Explain the main differences between low-level and high-level languages. Know that machine code and assembly language are considered to be low-level languages and explain the differences between them. Understand that ultimately all programming code written in high-level or assembly languages must be translated into machine code. Understand that machine code is expressed in binary and is specific to a processor or family of processors. Understand the advantages and disadvantages of low-level language programming compared with high-level language programming. Explain the main differences between these three types of translator. Understand that computers use binary to represent all data and instructions. Explain why hexadecimal is often used in computer science. Understand how binary can be used to represent whole numbers. Understand how hexadecimal can be used to represent whole numbers. • a byte is a group of 8 bits. Know that quantities of bytes can be described using prefixes. • tera, 1 TB is 1,000 Gigabytes. Be able to add together up to three binary numbers. Be able to apply a binary shift to a binary number. Describe situations where binary shifts can be used. Understand that character codes are commonly grouped and run in sequence within encoding tables. Describe the purpose of Unicode and the advantages of Unicode over ASCII. Know that Unicode uses the same codes as ASCII up to 127. Understand what a pixel is and be able to describe how pixels relate to an image and the way images are displayed. Know that the size of a bitmap image in pixels (width x height) is known as the image resolution. Describe how a bitmap represents an image using pixels and colour depth. Describe using examples how the number of pixels and colour depth can affect the file size of a bitmap image. 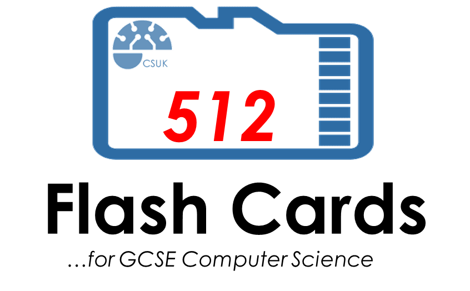 Calculate bitmap image file sizes based on the number of pixels and colour depth. Convert binary data into a black and white image. Convert a black and white image into binary data. Understand that sound waves are sampled to create the digital version of sound. Calculate sound file sizes based on the sampling rate and the sample resolution. Explain what data compression is. Understand why data may be compressed and that there are different ways to compress data. Explain how data can be compressed using Huffman coding. Be able to interpret/create Huffman trees. Be able to calculate the number of bits required to store a piece of data compressed using Huffman coding. Be able to calculate the number of bits required to store a piece of uncompressed data in ASCII. Explain how data can be compressed using run length encoding (RLE). Define the terms hardware and software and understand the relationship between them. Construct truth tables for simple logic circuits. Interpret the results of simple truth tables. Create, modify and interpret simple logic circuit diagrams. Give examples of both types of software. Explain the Von Neumann architecture. Understand and explain the Fetch-Execute cycle. Understand the differences between main memory and secondary storage. Understand the differences between RAM and ROM. Understand why secondary storage is required. Be aware of different types of secondary storage (solid state, optical and magnetic). Explain the operation of solid state, optical and magnetic storage. Discuss the advantages and disadvantages of solid state, optical and magnetic storage. Explain the term ‘cloud storage’. Explain the advantages and disadvantages of cloud storage when compared to local storage. Define what a computer network is. Discuss the benefits and risks of computer networks. • Wide Area Network (WAN). Understand that networks can be wired or wireless. Discuss the benefits and risks of wireless networks as opposed to wired networks. Define the term ‘network protocol’. • IMAP (Internet Message Access Protocol). Understand the need for, and importance of, network security. Understand that the HTTP, HTTPS, SMTP, IMAP and FTP protocols operate at the application layer. Understand that the TCP and UDP protocols operate at the transport layer. Be able to define the term cyber security and be able to describe the main purposes of cyber security. • unpatched and/or outdated software. Explain what penetration testing is and what it is used for. Define the term social engineering. Describe what social engineering is and how it can be protected against. • shouldering (or shoulder surfing). Describe what malware is and how it can be protected against. Explain the current ethical, legal and environmental impacts and risks of digital technology on society.